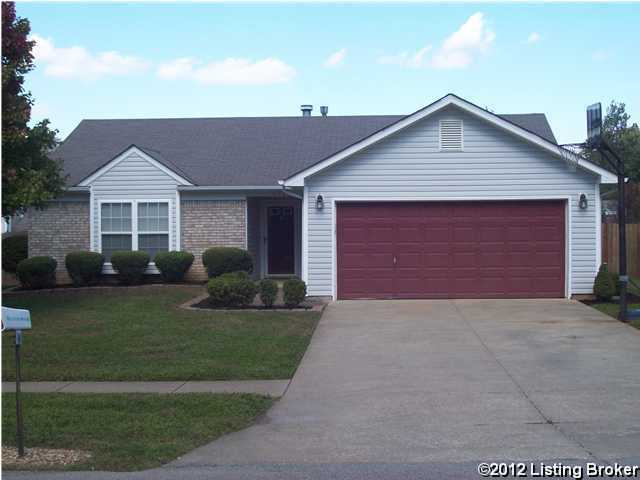 BEAUTIFUL 3 BEDROOM, 2 FULL BATH RANCH IN A GREAT NEIGHBORHOOD. THIS MOVE-IN READY HOUSE HAS AN OPEN FLOOR PLAN WITH A GREAT ROOM THAT HAS A VAULTED CEILING AND WOODBURNING FIREPLACE. ALL BEDROOMS HAVE WALK-IN CLOSETS. HOUSE HAS NEWER CARPET AND HAS BEEN FRESHLY PAINTED. THE EXTERIOR IS WELL MAINTAINED AND HAS EXCELLENT CURB APPEAL. THIS CORNER LOT HAS A HUGE BACK YARD. CLOSE TO RESTAURANTS, SHOPPING AND THE FORD TRUCK PLANT. CALL FOR YOUR APPOINTMENT TODAY. 4523 Lunenburg Dr, Louisville KY 40245 is a Home, with 3 bedrooms which is recently sold, it has 1,200 sqft, 0 sized lot, and 2 Car Garage parking. A comparable Other, has bedrooms and 0 baths, it was built in and is located at and for sale by its owner at $ 0. This home is located in the city of , in zip code , this County Other, it is in the Subdivision, and Woodmont are nearby neighborhoods.